Michigan newspaper network MLive recently sent out a couple of it's people out on an adventure to find the best pizza in the state. They listed a bunch of places to nominate and for people to vote on. 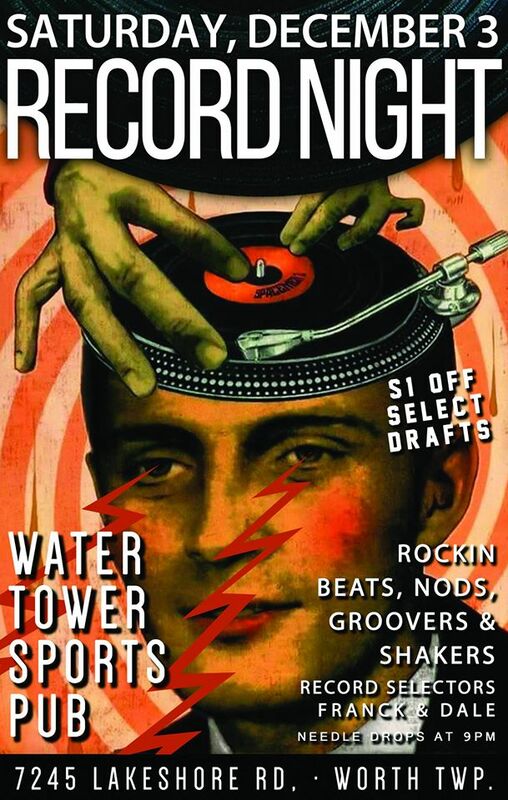 The Water Tower Sports Pub in just south of Lexington was not on that initial list. People started picking them as a write in and when all was said and done they ended up getting picked as #10 of the top 12 in the entire Mitten! Franck and I have spun records there before and it was a blast. Not only does the pizza rule but they also have a lot of other great eats on the menu along with an awesome choice of Michigan beer on tap. Come join us for another night of groovers, shakers and whatever else we pull off our shelves and put into the crates on Saturday, December 3rd.